Earn 4200 loyalty points when you order this item. 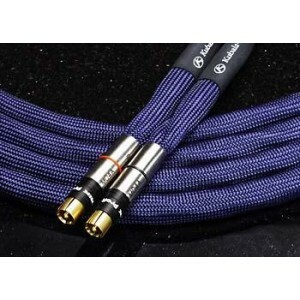 The Emotion interconnects are master reference audio cables, offering you a chance to "really hear" your system - winner of countless awards in the US, these cables are some of the finest available, available with RCA or XLR connectors. The full Kubala Sosna range is available - please call us to order any model not advertised. Kabala Sosna describes the audition process as always similar with the Emotion cable. The listener would audition the existing system, then change out the cables. Usually within 30 seconds, they would proclaim something like … "Wow! What did you do to get these to sound like this??" They did not have to go back to the original cables to see what was different … they knew immediately. Imagine that! Performance so outstanding these listeners felt their systems were unleashed to a totally new level! Performance so right, they did not just listen to one 30 second sound byte of one track on each reference disc; rather they listened to song after song, focused on the music. Performance so captivating that they did not want to stop listening at all, no matter how late it got! They were, indeed, connected to the music! The capabilities of these component links are hard to describe because the words have all been used over and over again. Everyone claims "perfect" performance, yet, most cables sound very similar in most regards, somewhat different in one or two aspects. 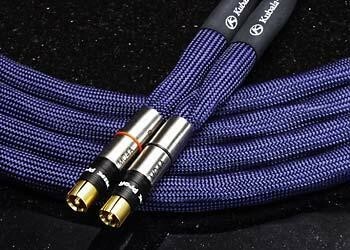 Kubala-Sosna cables sound different - easily recognizable and obviously superior.